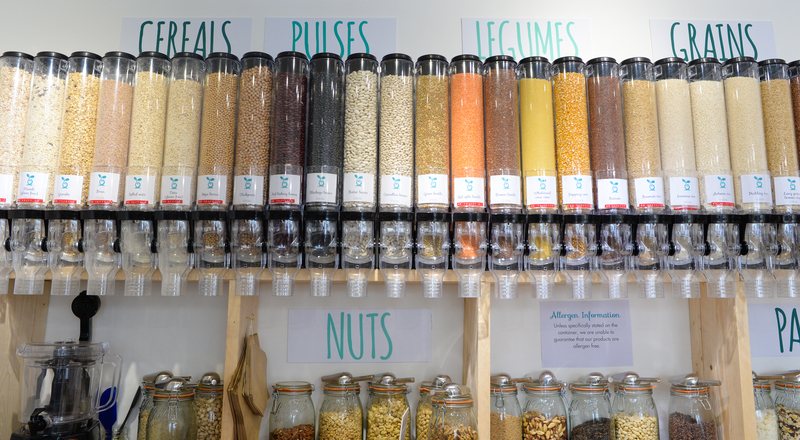 Topsham now has a zero-waste store, the first in the Exeter area! Nourish opened its doors to the public on March 24, 2018, and already it is helping Topsham folk and visitors alike to change the way they shop and live. A range of well-sourced food products is available for purchase ‘loose’, that is to be dispensed into your own container, receptacle or bottle. Fresh milk from a Cornish dairy can be dispensed into glass bottles. There is an extensive range of store cupboard foods including cereals, grains, pulses, beans, oils and vinegar, pasta, nuts, dried fruit, and pasta. 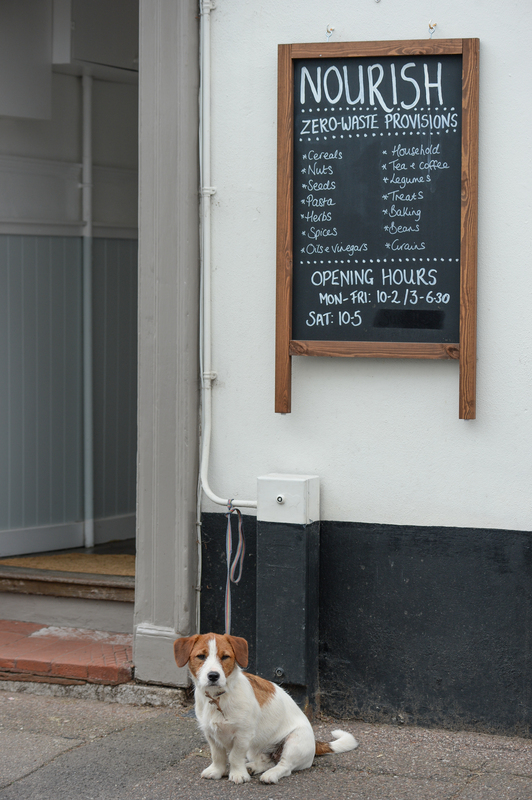 Coffees and teas can also be purchased loose. 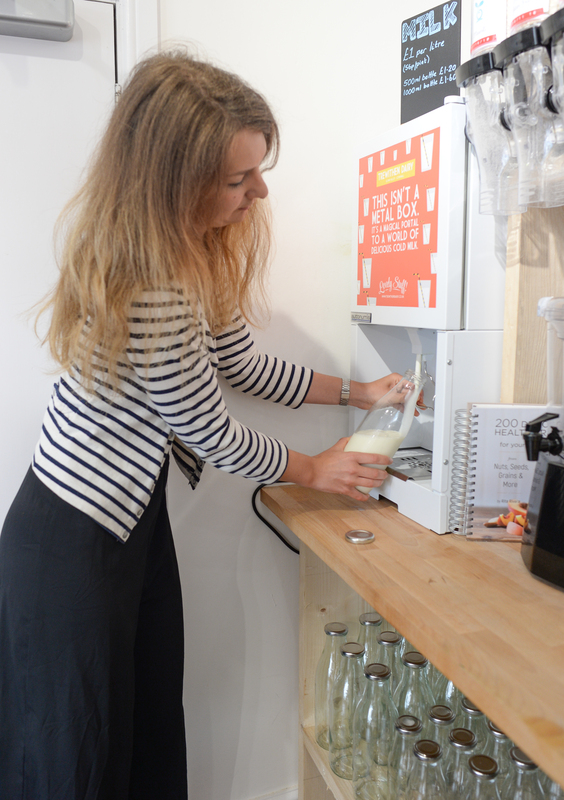 It is also possible to make your own alternative milks and butters using the in-shop Nutra-Milk machine. Milks and butters can be easily made from almonds, cashews, brazil nuts, hazelnuts, peanuts; it is also possible to make coconut milk, seed milks from sunflower, sesame, pumpkin, as well as grain and legume milks from rice, oats, adzuki. Products such as cloth bags, stainless steel straws, reusable coffee cups, beeswax food wrap and more all help to cut down on waste. A range of household cleaning supplies is available as are other items which make sustainable living a little easier. We urge you to visit this wonderful shop and to give real thought to how you can live more sustainably, even by doing just one or two things differently. After all, it’s up to all of us to do our own little bit, for the sake of both our beautiful community, as well as of our beautiful planet.